Vancouver is a large metropolis in British Columbia, Canada. It is one of the densest and culturally diverse cities in Canada. The city is surrounded by hills and eye-catching sceneries, which give tourists an enjoyable, pleasurable, and amusing experience. This city is popular for filming locations, thriving art, music, and theater. A large population of tourists visits Vancouver to relish the most iconic sceneries, food, culture, and shopping. What can you do if you have only 24 hours to explore Vancouver? Considering Vancouver is a city with a considerable extension, it is clear that with only one day to visit it, there are many things to see. One day is enough to get you an accurate impression of the character of the city, which means a mixture of Metropolis, Natural Park, and Coastal City that makes Vancouver a place without equal. 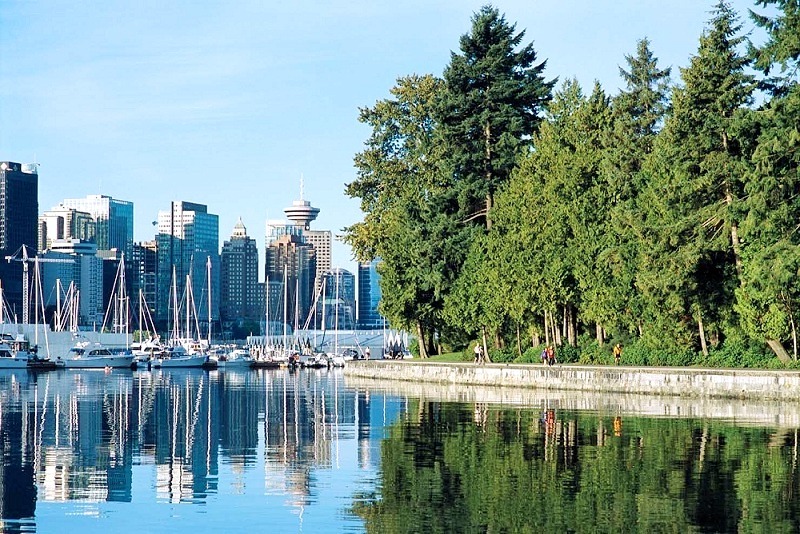 Stanley Park is a must see if you are visiting Vancouver. It is the largest urban park in Canada, and one of the largest in all of North America. With an extension of more than 400 hectares, it is really the green lung of the city and a very popular area of ​​leisure for the vanguards. Strolling through the port area, walking the trails on foot or by bike, marveling at the height of the redwoods and the giant Thuja trees of the park is an amazing experience everyone wants in the city. 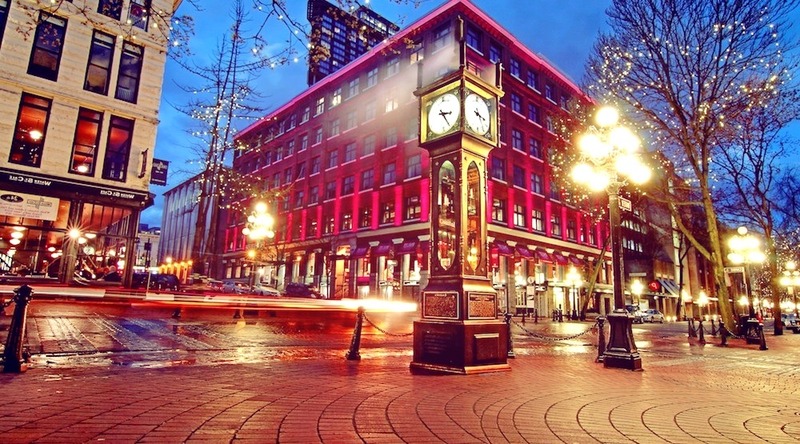 Gastown is the oldest neighborhood in Vancouver, with buildings dating back to the late 19th century. Most of them now house bars or boutiques. The streets of Gastown are cobbled and full of restaurants, cafes, souvenir shops, and art galleries. It breathes a calm atmosphere while very touristy. Another curiosity to see in Gastown is the statue of “Gassy” Jack Deighton. This drunken sailor founded the first saloon in the area, around which the city flourished. Vancouver also has a significant concentration of Asian population. In this case, the area known as Chinatown is located southeast of Gastown. 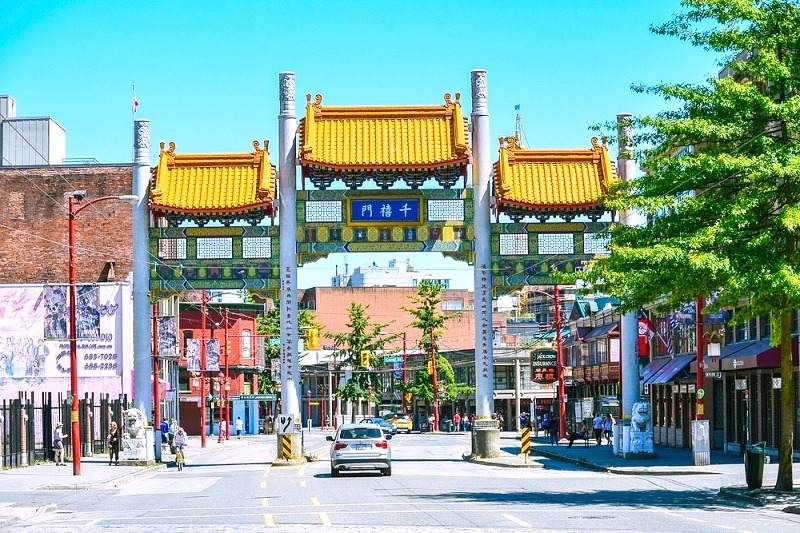 It is the third largest Chinatown in North America and is accessed by the Chinatown Millennium Gate. In addition to simply strolling and breathing the Asian atmosphere of the area, we can visit the Dr Sun Yat-Sen garden. It is a peaceful and quiet place, perfect for a picnic, so it is a good idea to include it on the list when planning what to see in Vancouver in a day. 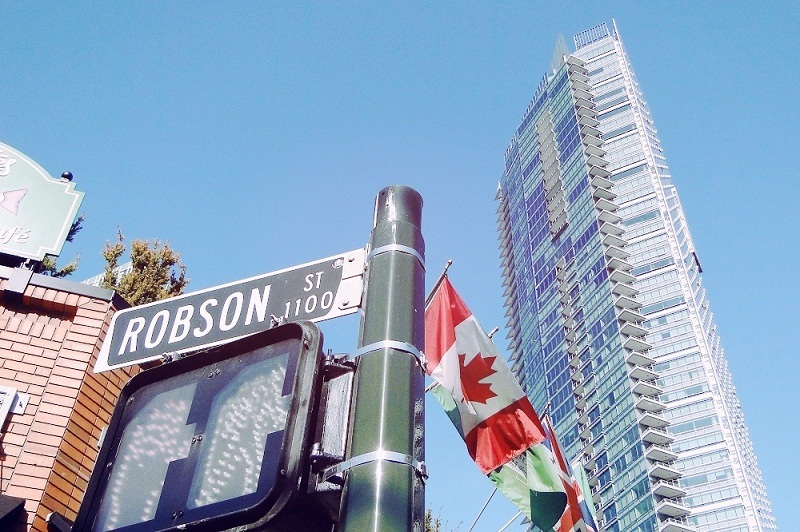 Contrasting dramatically with Hastings Street is Robson Street. It is the center of commerce and consumerism in Vancouver. Granville Street could be said to be a living mall, an open-air shopping mall. All franchises, both textile and catering, music, and other leisure activities are located here. The atmosphere here is vibrant and although you are not buying anything. It is worth visiting the area, sit on a terrace with a beer, and watch the frenetic pace of the city. Many interesting places are left out, such as the hanging bridge of Capilano or Burrard and Canada Place. However, in a single day, it does not give time to do everything.